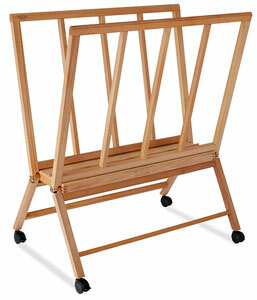 Constructed of oiled, stain-resistant beechwood, Mabef’s giant print rack is ideal for displaying very large paintings, prints, and drawings. 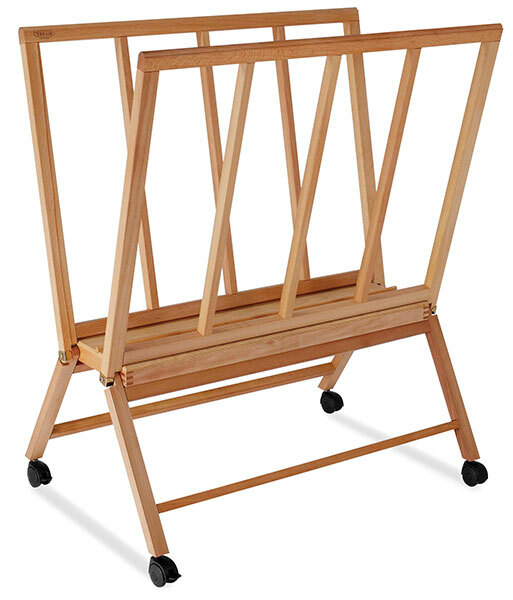 The rack is fitted with four casters that make it easy to roll it where you need it, with two foot lever brakes for stability. It holds a maximum of 40 lb. The unit measures 40½"H × 31½"W × 22½"D.